Enjoy your drink in elegant style with this set of four Nachtmann Prestige longdrink glasses. 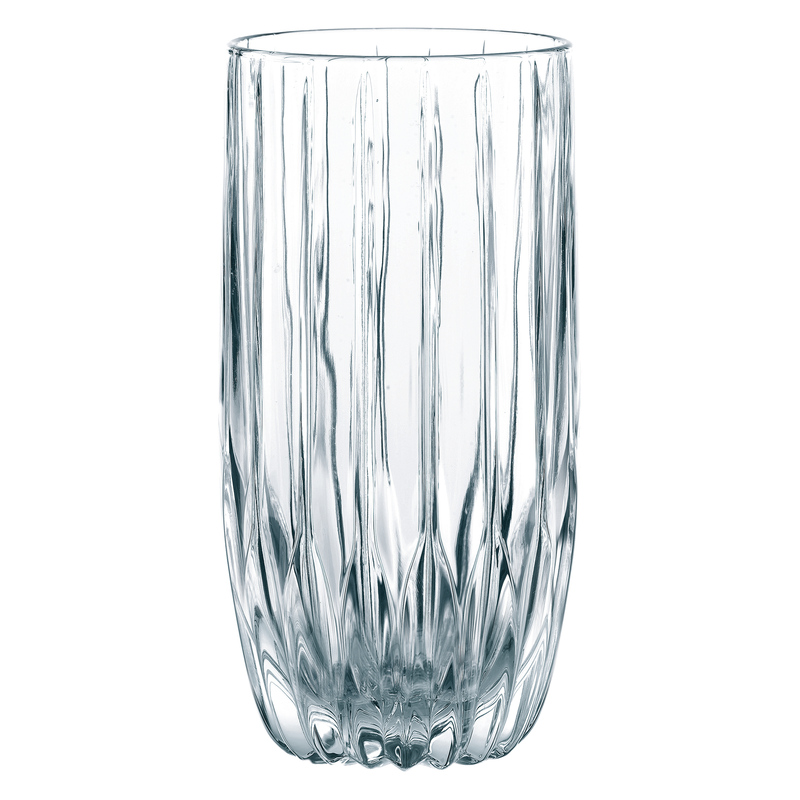 With a bold and contemporary etched pattern, it is made from leaded crystal. With a curved bottom and a wide mouth, it will make a great glass to use for any mixed drink. Dishwasher safe for easy cleaning, this glass has a natural beauty that lends itself to both casual and formal occasions.